Each year, we receive numerous learners from the University of East Anglia & Norwich City FC - and there's a reason that they choose driveJohnson's. Not only will you receive access to our online theory training, our instructors will get you perfecting every area of driving as quickly as they can. Whether you're nervous about mastering your parallel park, or you need some extra work on your clutch control, our driving school in Norwich will have you driving like a pro in no time! Pupils who have recently passed with us in Norwich. Our driving school in Norwich use small vehicles such as a Mini Cooper, so you can ensure your manoeuvres are performed with ease and to a high standard on test day. The reason many of our instructors tend to teach in smaller vehicles, is that new drivers can become nervous and distracted in family sized cars. During your driving lessons, we will ensure you feel comfortable when driving down the A146 and A47 as they can be a little testing when tackling on your own. We will also take you around areas such as Lakenham & Norwich city centre, so you know how to safely drive, tackling roadworks, speed bumps, traffic lights and more all through congestion. 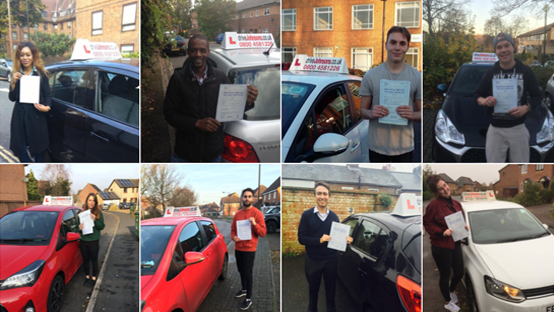 To book in for driving lessons in Norwich give the office team a call on 0203 9705101 or text 'DRIVE' to 63666 and a dedicated member of the driveJohnson's team will be in touch. How much do driving lessons cost in Norwich?